At CAMS Education Daycare, we teach art, music, and science to help children develop into their full potential. 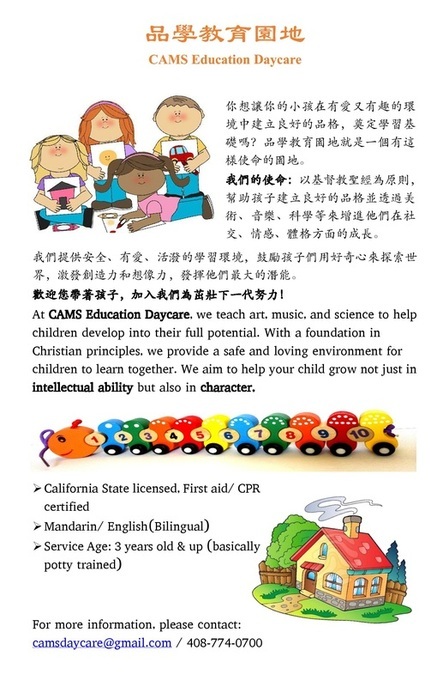 With a foundation in Christian principles, we provide a safe and loving environment for children to learn together. We aim to help your child grow not just in intellectual ability but also in character.